A warm, easy-wearing fleece pullover made of polyester double-sided solid shearling. A warm and windproof 100% polyester (50% recycled) bonded sherpa fleece jacket for cool, blustery weather. A versatile vest made from 100% polyester (50% recycled) sherpa fleece with a bonded windproof membrane to keep your core warm in cool and windy conditions. A Fair Trade Certified™ sewn, performance polyester full-zip fleece jacket with the right mix of lightweight warmth and motion-friendly stretch designed for trail-to-town versatility. 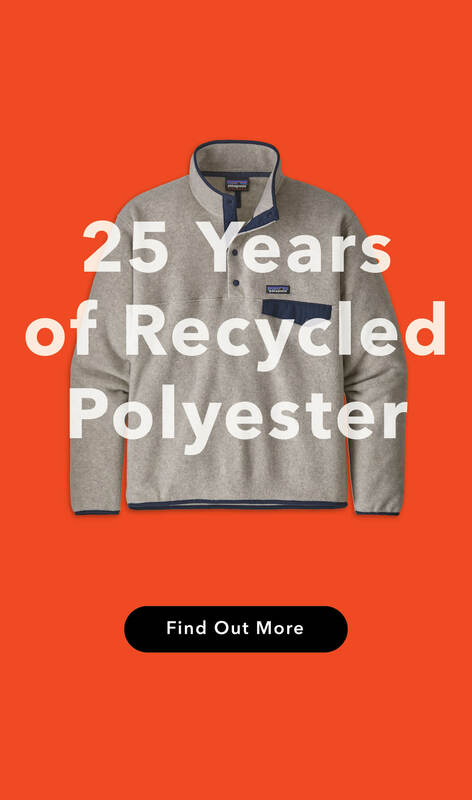 A warm, low-bulk full-zip vest made of soft, sweater-knit polyester fleece. Fair Trade Certified™ sewn. Warm, comfortable, Fair Trade Certified™ sewn polyester fleece pants with a Snap-T® style back pocket, elasticized waistband with an adjustable drawcord and spandex binding at the cuffs for warmth. A wind- and weather-resistant ‘60s-inspired expedition parka lined with high-pile 100% polyester fleece. A venerated alpine essential, the R1® Hoody remains a versatile hooded midlayer for the full spectrum of mountain endeavors—made with light and breathable Polartec® Power Grid® fabric for outstanding stretch, compressibility and durability with Polygiene® permanent odor control.